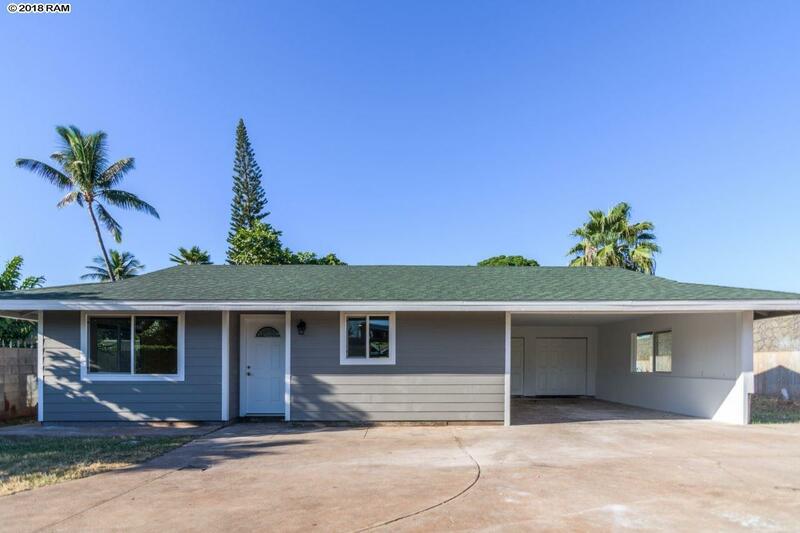 Welcome to this beautifully renovated 3 bedroom 2 bath home on the makai side of the highway, located on a flag lot, ready for you to enjoy the moment you move in. Close to Lahaina Town, Front Street and world class beaches makes it a location not to pass up! Home has new paint inside/out, new vinyl plank flooring, new dual pane windows, new kitchen with island & beautifully upgraded bathrooms. Stay cool with the split AC units in living room and master and enjoy the spacious yard with a beautiful Plumeria tree. Contact you favorite Realtor for a showing today. One of the partners is related to the selling agent.